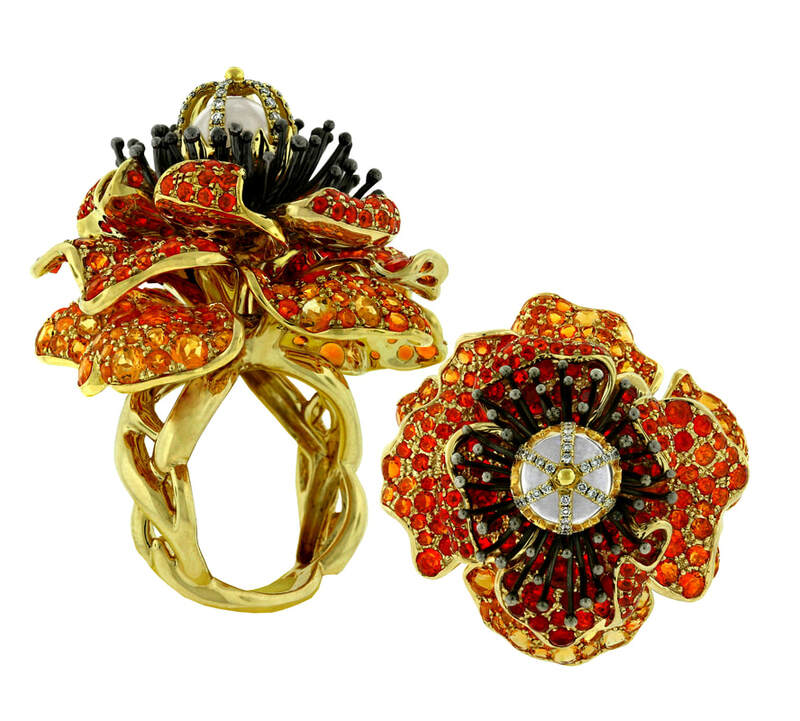 Designer extraordinaire Paula Crevoshay continually explores and reinvents her jewelry art, taking it to heights few can even dream of. 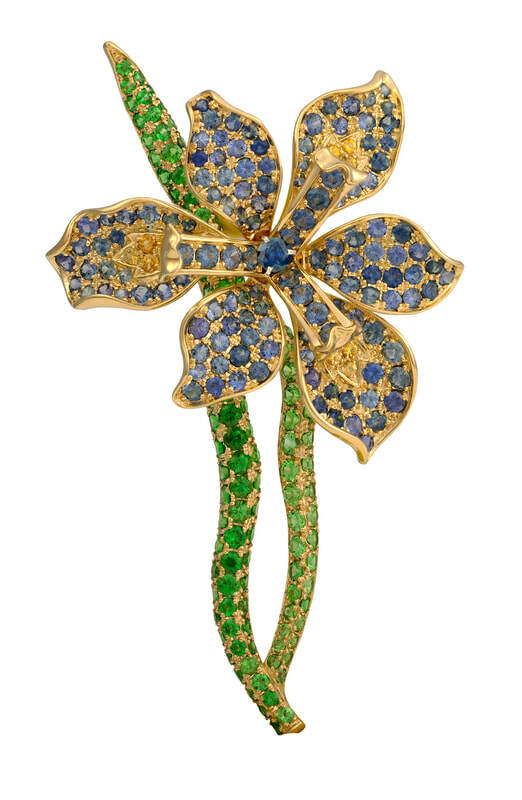 Among her amazing creations are fanciful flowers. 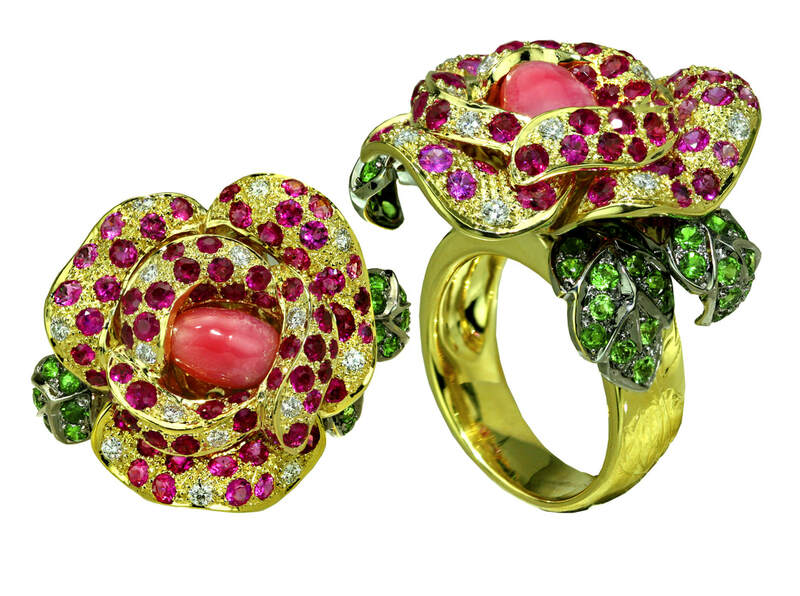 With Nature as her muse, Crevoshay "paints with gemstones, not just with their myriad colors, but with their light. 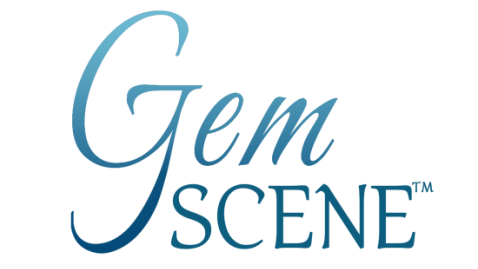 Each gemstone has its own ability to transmit light. 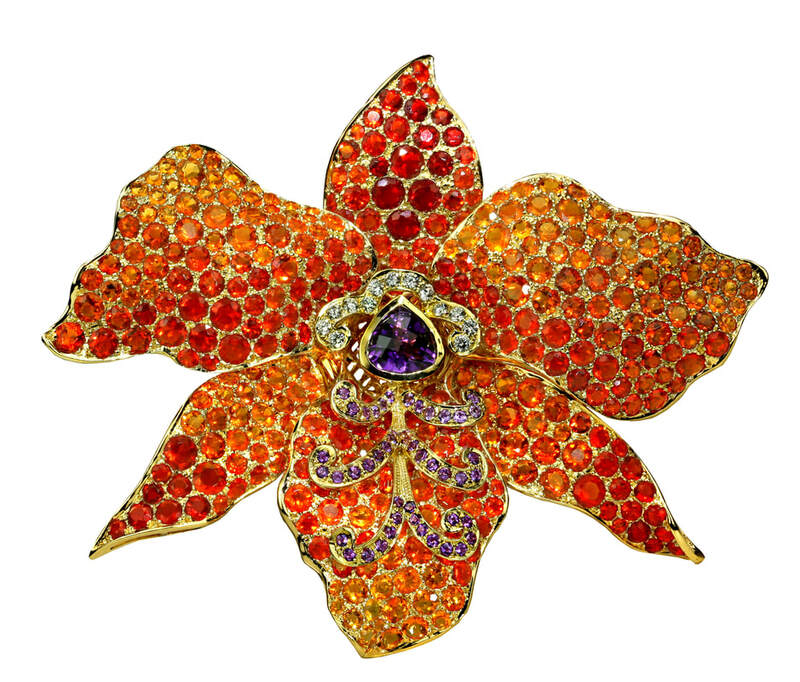 It’s a quality of light inherent in that particular mineral," she explains. 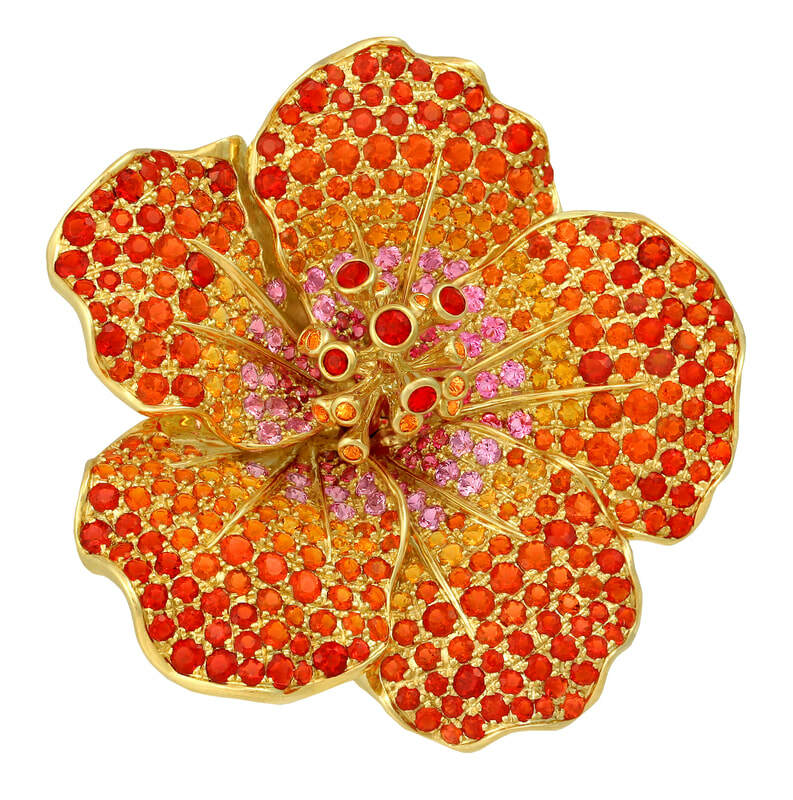 The majority of her artistic creations are inspired by Nature, and none are more beautiful than her fanciful flowers. 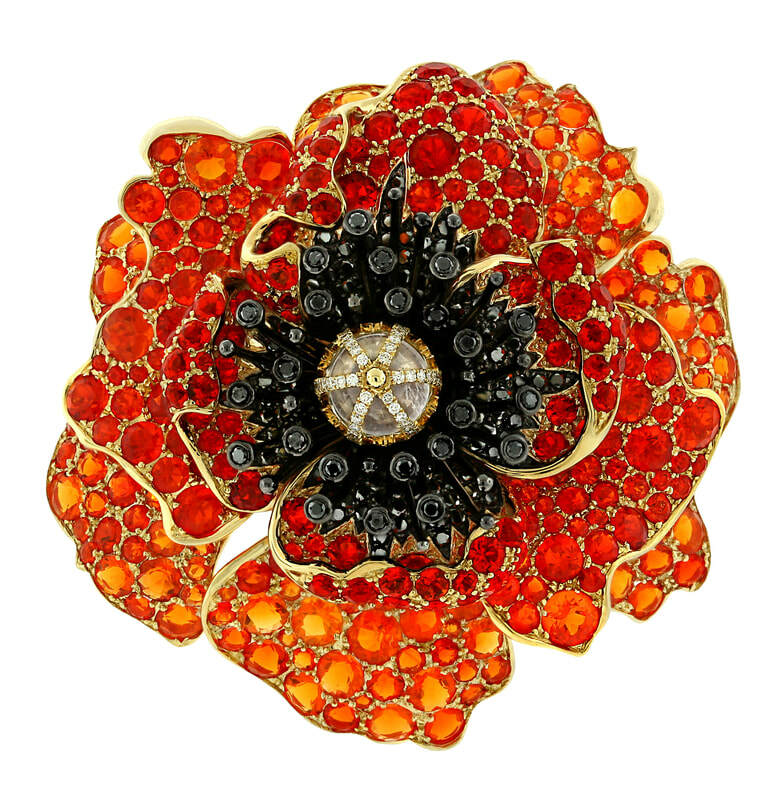 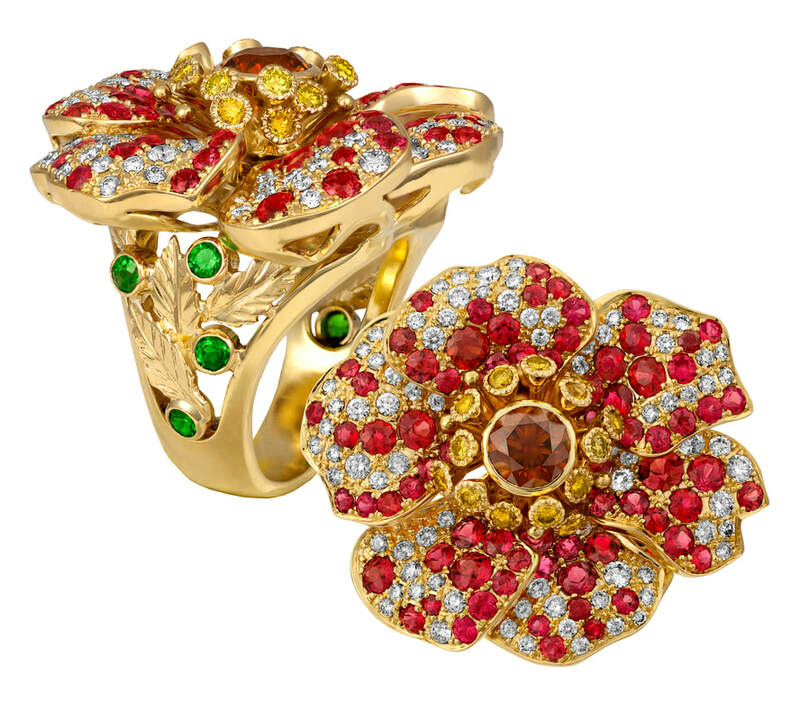 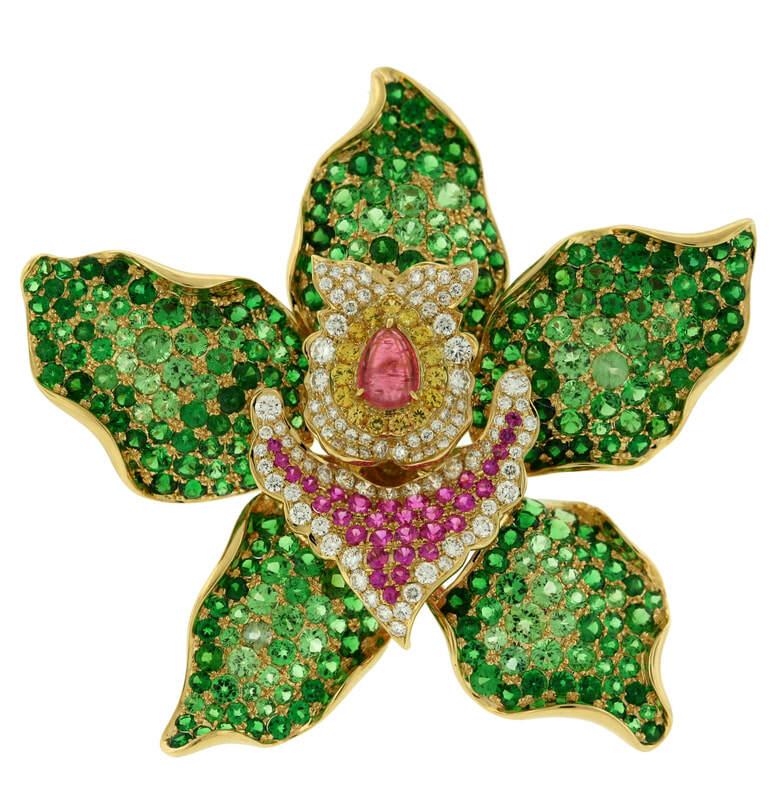 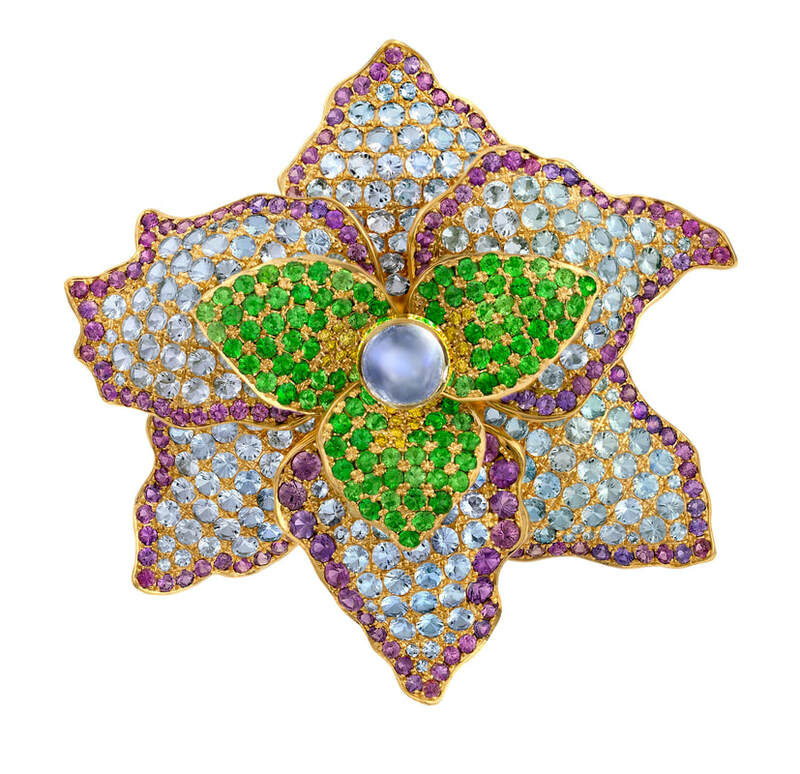 ​“There is no greater inspiration found in art than Mother Nature,” she smiles, adding that she plays not only with color but also with the types of gem cuts, among them carvings, cabochons and facets, to evoke the details in her colorful floral arrangements. 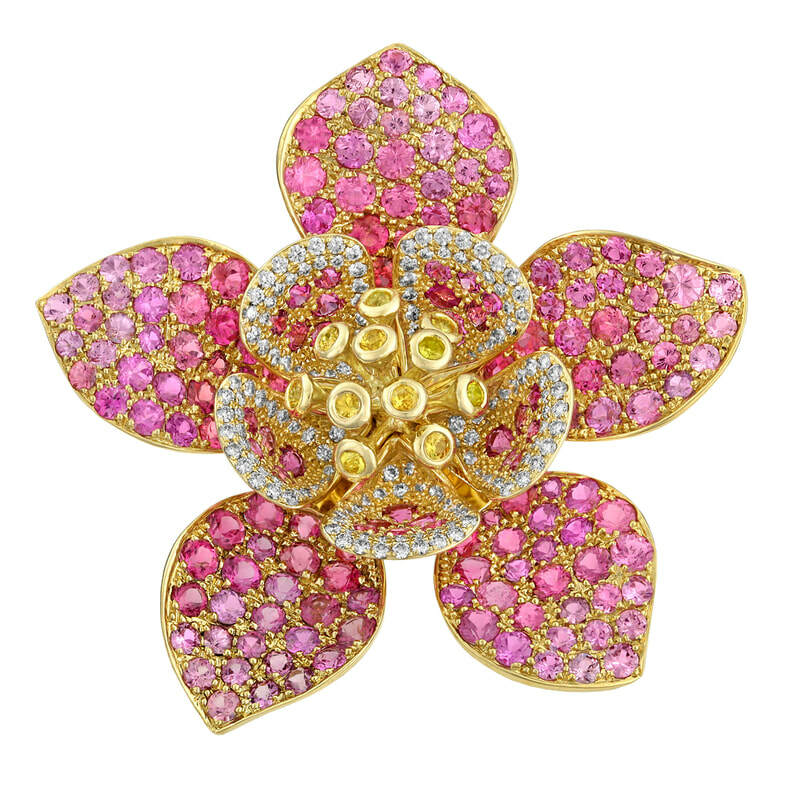 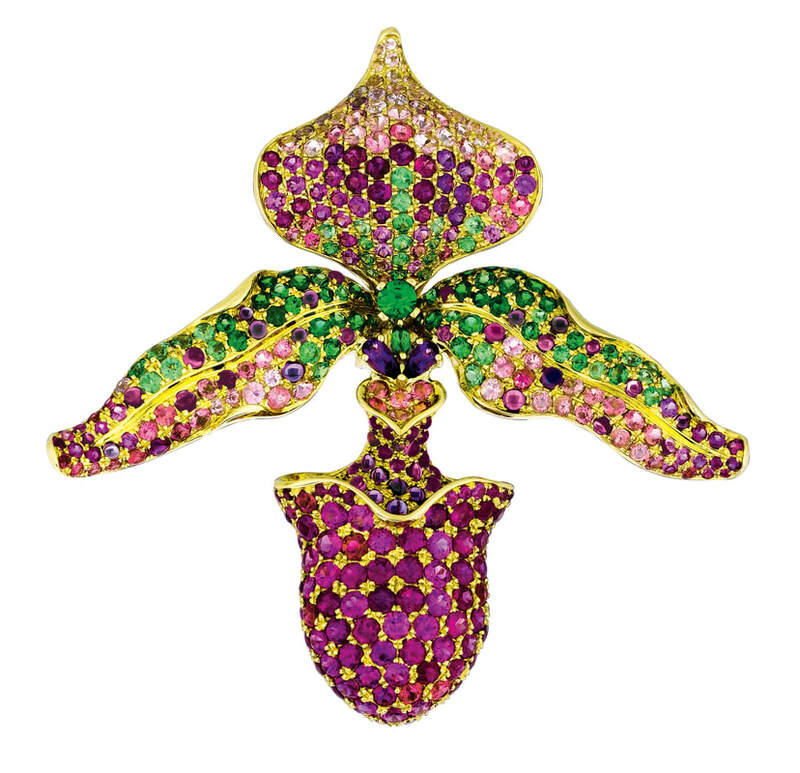 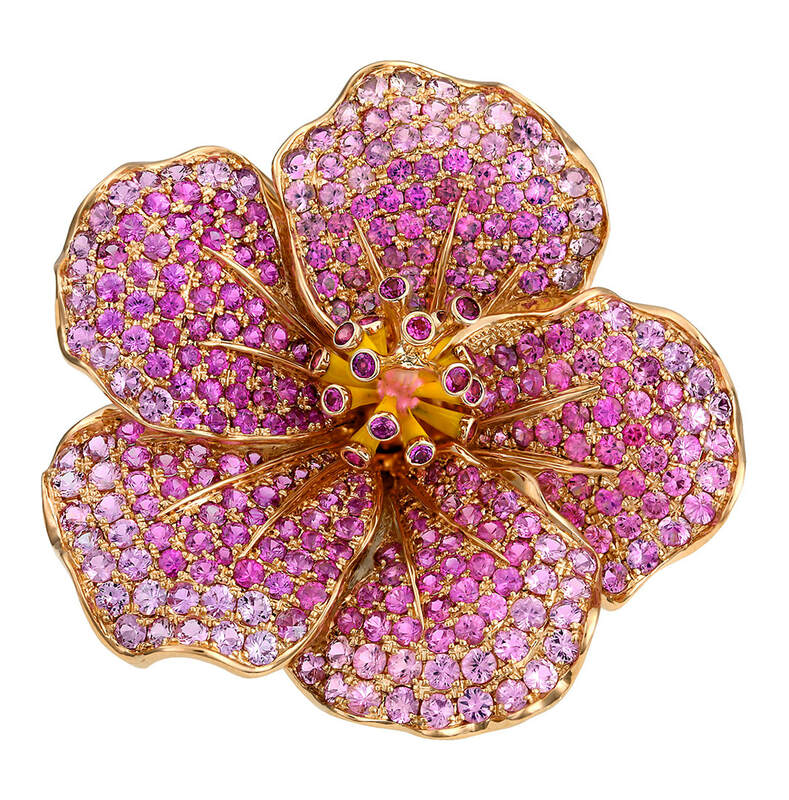 Crevoshay's delightful blossoms evoke vibrant realizations of pansies, crocus, irises, roses, columbines, hibiscus, and many, many others, all truly rivaling Nature's Glory.